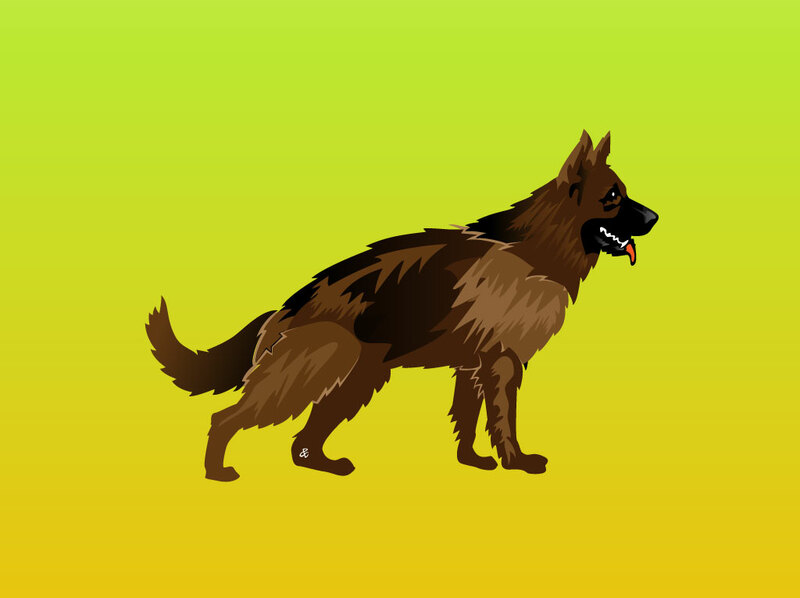 Profile view of German Shepherd dog rendered as a vector cartoon. Full color graphics set on a green and yellow background image. Download this fun artwork for your animal themes, dog training blog, pet apparel designs and stock vector footage library. Tags: Animal Graphics, Dog Illustration, Dog Training, German Shepherd Vector.